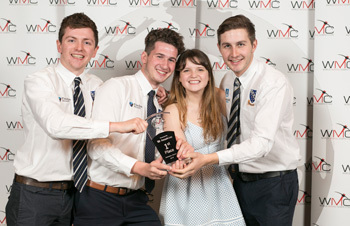 Teams of students from around the world came together in Saskatoon, SK to compete for top honours in the fifth annual World Mining Competition (WMC) in late October. 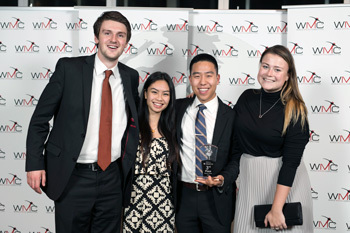 Held over four days, WMC is Canada's first undergraduate mining-strategy case competition. "We are a student-run competition, organized by engineering, commerce, and geology students from the University of Saskatchewan,” said Tanner Assie, Vice-President of Marketing for the event. “2016 marks the first year we can truly call ourselves multidisciplinary with students represented from all three major colleges." Presented by PotashCorp, the competition brought 58 delegates from 11 schools across 4 countries. This year the case centered upon the construction of a diamond mine in Australia, with the main decision being to construct a steep or shallow pit in order to provide the greatest return. Teams were given 36 hours to devise a recommendation which ultimately culminated in a presentation to a panel of industry judges. They then had to persuade the judges into buying their team’s solution. "The theme of this year was "Diversity in Balance" and this was evident in the representation of students, judges, sponsors, and industries participating" said Sakeena Akhtar, Co-Chair of the event. "The case itself encompassed every functional area in mining and it was fulfilling to see the cross-collaboration among the teams." 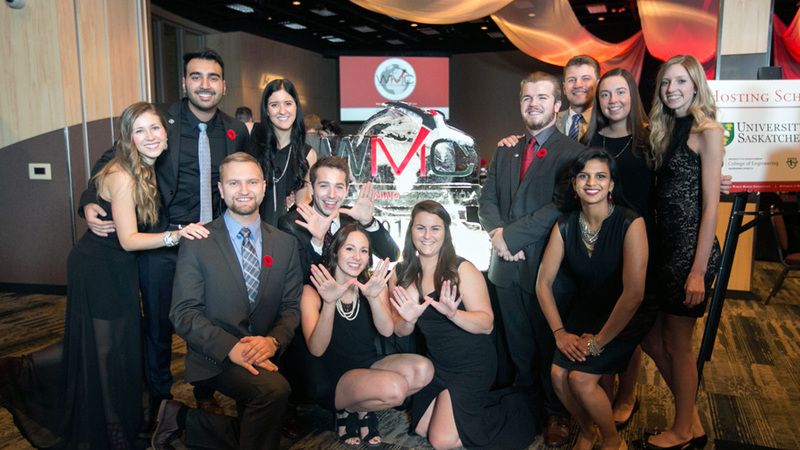 Besides the formal competition, students participated in a variety of events including mining presentations, a career fair, academic challenges and social events in downtown Saskatoon and on the University of Saskatchewan campus. 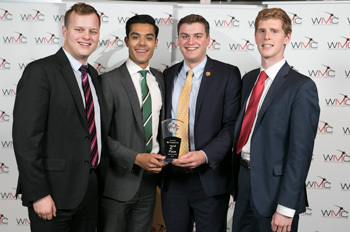 The final evening of the 4-day competition had a surprise connection to the Edwards School of Business. Students heard from Cameco’s Dr. Grant Isaac, who delivered the keynote speech at the awards gala presented by K+S Potash Canada. Now the vice-president and chief financial officer of Cameco, Dr. Isaac is a former Dean at the Edwards School. Although it was a high-pressure competition, faculty advisors said the WMC was an unqualified success. Thank you to our generous event sponsors for their help in making the fifth Annual World Mining Competition a success: PotashCorp, K+S Potash Canada, Graham Construction, Alan Auld Canada, Alan Auld Engineering, The Ministry of the Economy, APEGS, Cameco, The Hanlon Centre for International Business, SMA, KPMG, ShoreGold Inc, Edwards School of Business and the College of Engineering.